Heading out to EDC or other raves and clubs this summer? 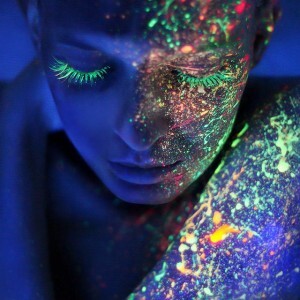 Stand out in the crowd with these glow-mazing UV makeup products! Glow-in-the-dark cosmetics isn’t just for Halloween anymore. These products look nice and normal under regular light, then super bright (and fierce!) under black light. With so many options, you can choose to light up your eyes, lips or nails. Stila’s lip crayons come in six brighter-than-the-80’s shades that will come alive under UV black light. 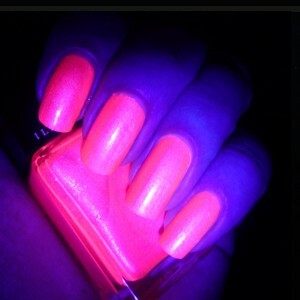 The formula’s secret ingredient is fluorescent pigments which allow it to glow. Other ingredients include algae extract, sunflower seed oil and vitamins C and E, so it glides on and hydrates your lips while you dance the night away. These super fine powder pigments come in eight shades, including an “invisible” white that shows only under UV black light. The powders can be used on the eyes, lips or body. I love using these as eyeliners! I recommend wetting them for a more intense “glow.” Check out the beautiful editorials below…if they don’t want to make you run out to the nearest rave in some tacky furry go-go boots I don’t know what will. I wrote about this in a recent post, and just had to mention them again here. Illamasqua debuted three shades of these UV Nail Varnishes in their “Paranormal” summer launch. They have a beautiful opacity under regular light, then turn into neon “monsters” under black lights. 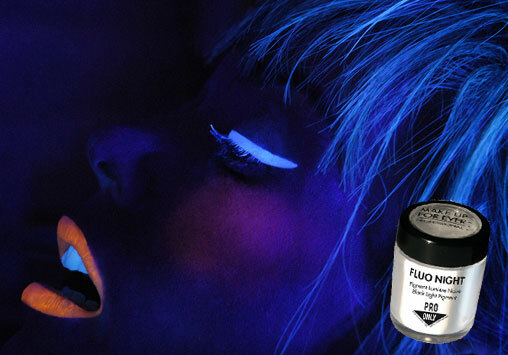 Illamasqua also carries a clear top coat version of this formula called Geist, which will turn any nail polish you have into a UV black light masterpiece. Who needs glow sticks when you got glow-fingers?! Would you wear any of these products?